Change Is In the Air…for Central Pump Supplies Ltd…. Air Operated Double Diaphragm Pumps are now available from Stock!! FTI Air is a division of Finish Thompson is represented in Ireland by Central Pump Supplies Ltd. Established in 1951, Finish Thompson is a leading designer and manufacturer of chemical transfer pumps. 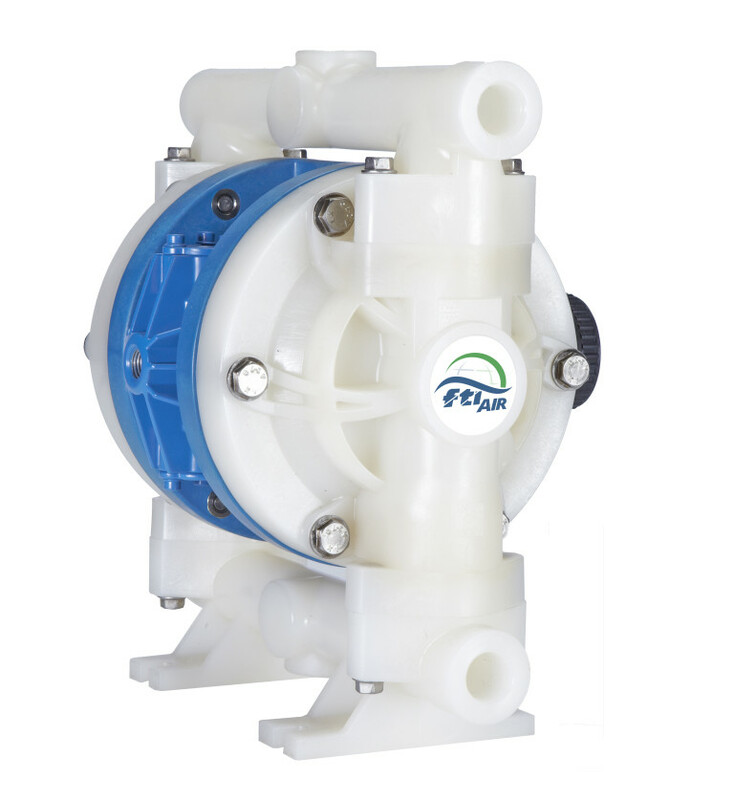 Our Air Operated Double Diaphragm pumps are the product of hard work by our team of skilled associates. From engineering to manufacturing, assembly and shipping, our reputation for dedication to detail and quality is known worldwide. Designed by experts in the transfer of the most corrosive fluids operating in demanding environments. They set put to create a line of products that are high quality, rugged and extremely reliable. FTI Air product line was carefully designed by Finish Thompson engineers from the ground up, using all of the state-of-the-art computer-aided design resources available today. Each pump and material component was run-tested for thousands of hours at Finish Thompson and in the field during development. And every pump is tested prior to packaging and shipping. The result is one of the most reliable, rugged and affordable air-operated double diaphragm pumps on the market today. Besides excellent products, what makes Finish Thompson stand apart is its unrivaled reputation for world-class customer service. FTI AIR will enjoy this same level of service, so that you can rest assured that with every FTI AIR pump, Finish Thompson’s global sales force, in-house application engineers and after-sales technical support will be standing behind it.